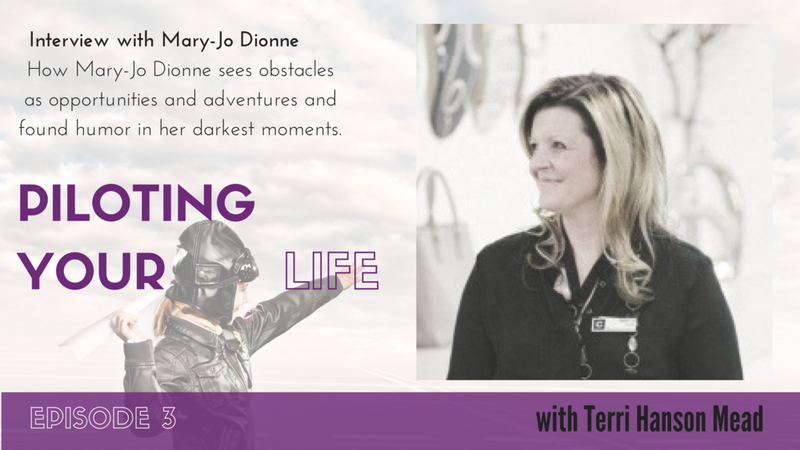 Mary-Jo is a writer, speaker, performer, podcaster, philanthropist and has her own company, Mary-Jo Dionne Productions based in Vancouver, Canada. Prior to starting her company, she worked as a copywriter with multi-national ad agencies and in-house marketing departments. She writes for outlets like The Huffington Post and has performed stand-up comedy in Vancouver, New York, Toronto, and LA and wrote and produced a one-woman show called "Glowing: A Reproduction Production". She now has two young and adorable daughters, JouJou and Birdie. She now has a podcast called Tea with a Titan where she interviews people who have fallen but continue to get back up every time. What started as a gift to her daughters now has listeners in over 70 countries. She is also a three-time melanoma survivor. How she sees obstacles as opportunities and adventures. Does she see herself as fearless or courageous and how does she move through fear to achieve? How her mom influenced her positive outlook on life and view of life from a place of abundance. How she consciously aims to expand and how her upbringing influenced her way of being in the world. How she imagines difficult people as sitcom characters. Her experience on Necker Island and talking to Richard Branson. How she would wave a magic wand to eliminate self-doubt. How decisions can change your life and it only takes a decision to move from one state of mind to another. Perception is not part of the equation; it is the equation.